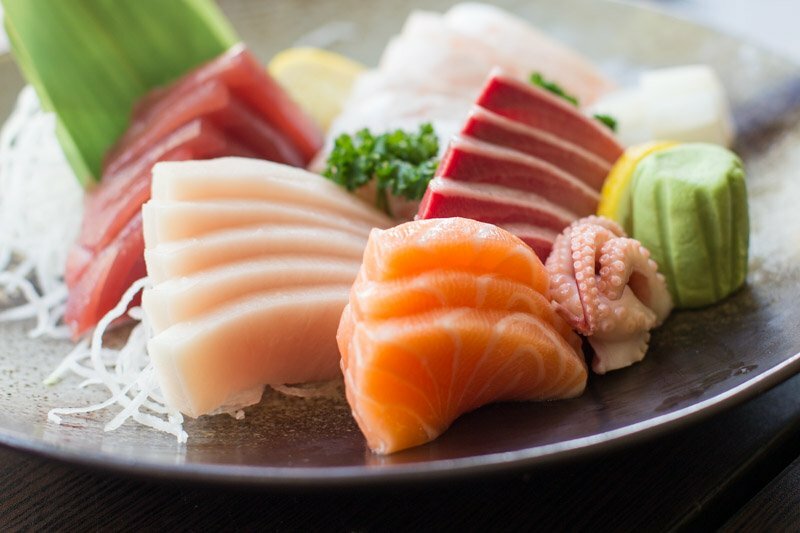 This post is dedicated to a friend I made last week, who wanted to know where are some of the good Japanese restaurants in Singapore where she can get good sushi/fish because she is pescatarian. There are so many in Singapore that I cannot simply name all, but I promised her a list. These are the places I would personally go if I want Japanese or non-meat options in Singapore. However, before we get started, do take a moment to read to see if the seafood you like is on the sustainable seafood guide. For example, bluefin tuna is being consumed to the point of almost extinction and personally I will not order it. There are many other sustainable options out there, we just have to be more informed! A small, authentic restaurant in the heart of CBD at Far East Square which is always packed during lunch time on week days. Go for dinners instead and you'll find it more comfortable. I love their bentos and sets. I find Sushi Tei to be a good fall back when I need Jap food, especially in Raffles City/City Hall MRT area. Prices are higher than Sakae Sushi, but the quality is so much better! There's also Itacho Sushi at ION, Bugis Junction or Plaza Singapura which hails from Hong Kong. It's slightly pricier than Sushi Tei but they often have promotions for the grilled salmon sushi and other seasonal items. One of the best omakases I've ever eaten in my life in Singapore was at Hakumai. It's $80 and above (menu here) but worth it as a treat if you are ever looking for one. However they also have meat options in the omakase so you have to let the chef know to serve just veg/fish/seafood. Best to call ahead to reserve. 7. Kaiware at #02-15 Triple One Somerset, 11.30am – 3pm, 6pm – 10pm for chirashi don by ex-Wasabi Tei and Chikuwa Tei chef. Huge chunks of fish, served separately from rice. 8. TOMI Sushi at multiple outlets such as in Novena, Katong, Cuppage Terrace, and #02-12/13 Millenia Walk, 11:30-15:00 (L.O.14:30), 17:30-22:00 (L.O.21:30). Vegetarian modern Asian cuisine in Raffles City, very fun to try out the different renditions that are healthy yet tasty. Raw food, vegan, gluten-free, with a very nice ambience to boot in the heart of Tanjong Pagar/Chinatown. Completely vegetarian but once again wholesome without going into too much oil or salt. Good for lunch or breakfast.